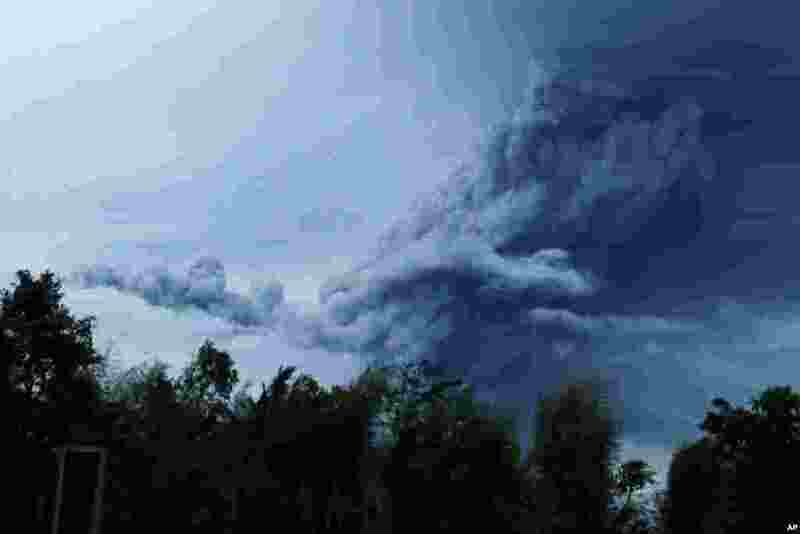 1 Mount Sinabung spews volcanic material as it erupts as seen from Tiga Pancur, North Sumatra, Indonesia, Nov. 18, 2013. 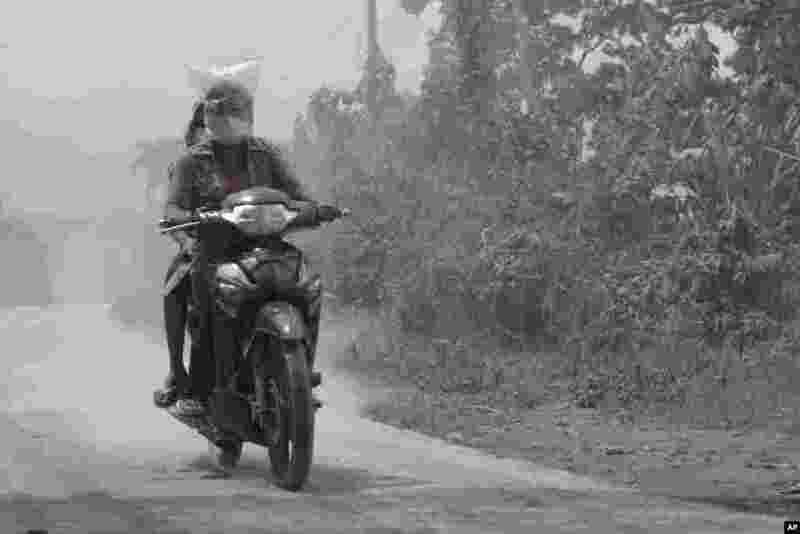 2 Villagers ride a motorcycle on a road covered with volcanic ash from the eruption of Mount Sinabung in Kuta Mbaru, North Sumatra, Indonesia, Nov 18, 2013. 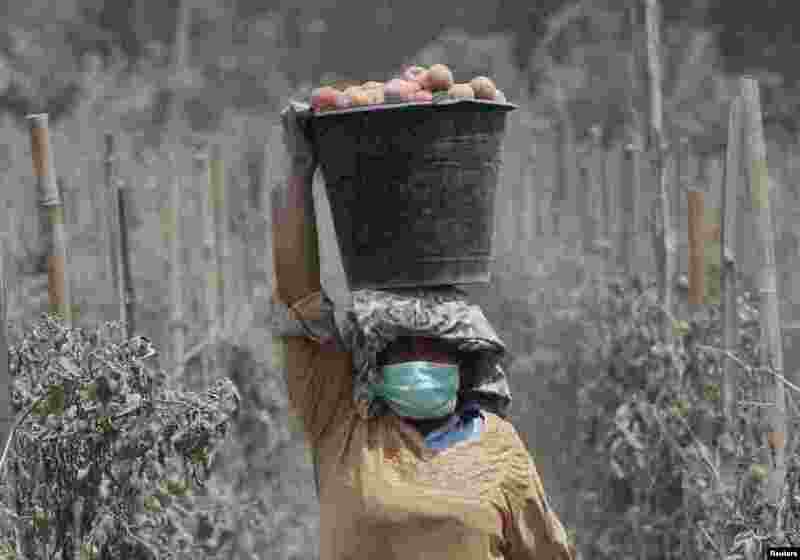 3 A woman carries a bucket full of ash-covered tomatoes on her head, at Mardingding village shortly after Mount Sinabung spewed volcanic ash in Karo district, Indonesia, Nov, 18, 2013. 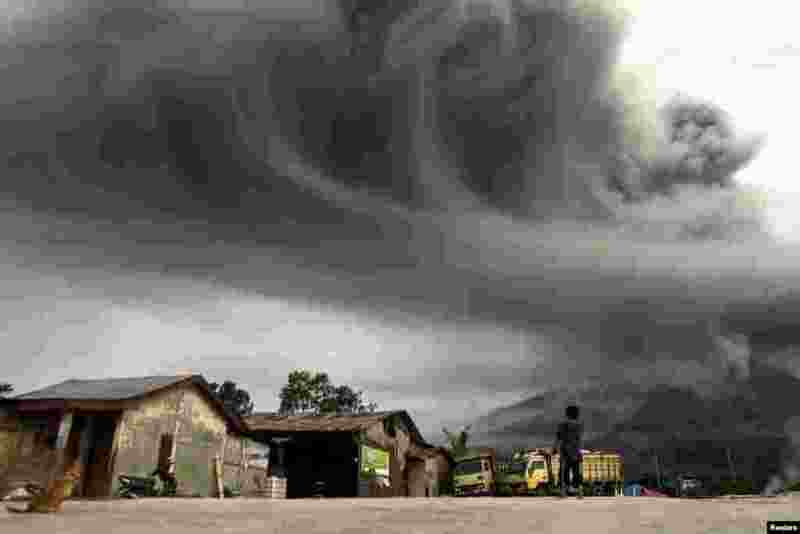 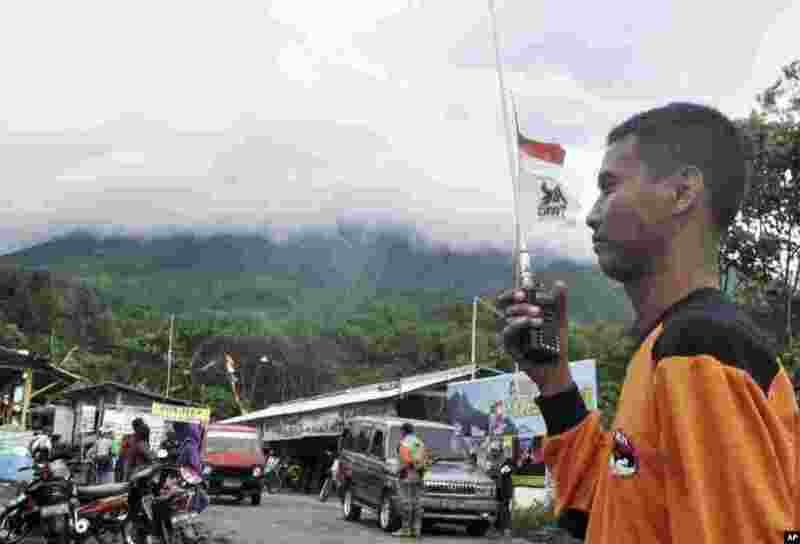 4 A woman looks on as Mount Sinabung spews ash, as pictured from Sibintun village in Karo district, Indonesia, Nov. 18, 2013. 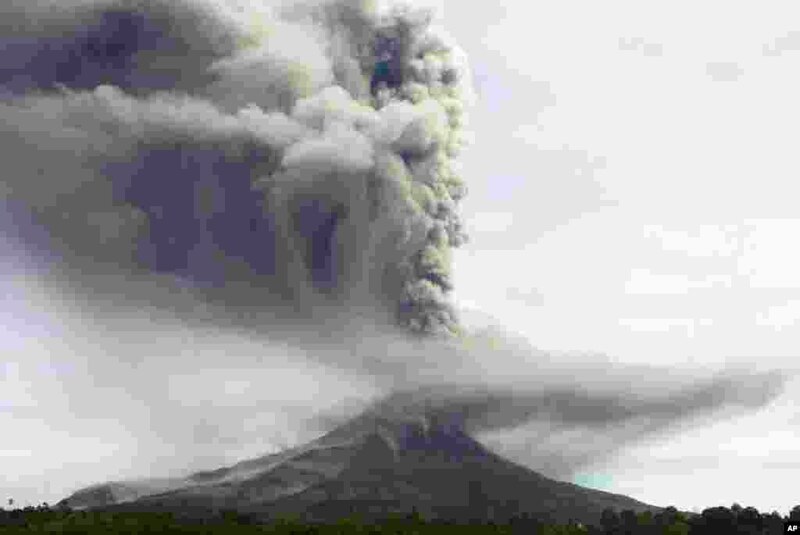 6 Mount Merapi spews volcanic material as it erupts as seen from Pakem near the ancient city of Yogyakarta, Indonesia, Nov. 18, 2013.